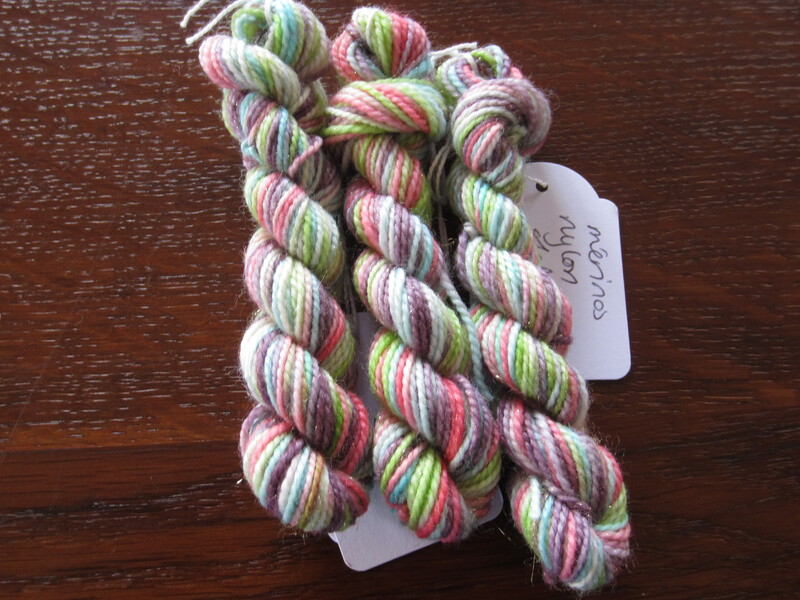 Mini skeins are “in” at the moment and so I think this is the perfect format for my #TestMyYarn campaign. 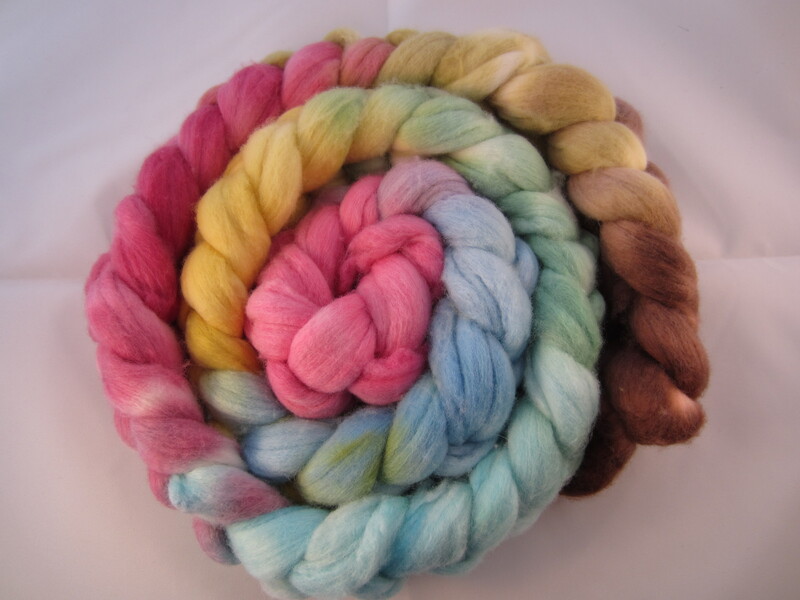 And so as of today Friday January 31st 2015 and until Sunday February 8th 2015 all orders be it in the Etsy shop or my NEW online shop will receive a complimentary mini skein of my yarn, could be hand dyed yarn or could be hand spun yarn. 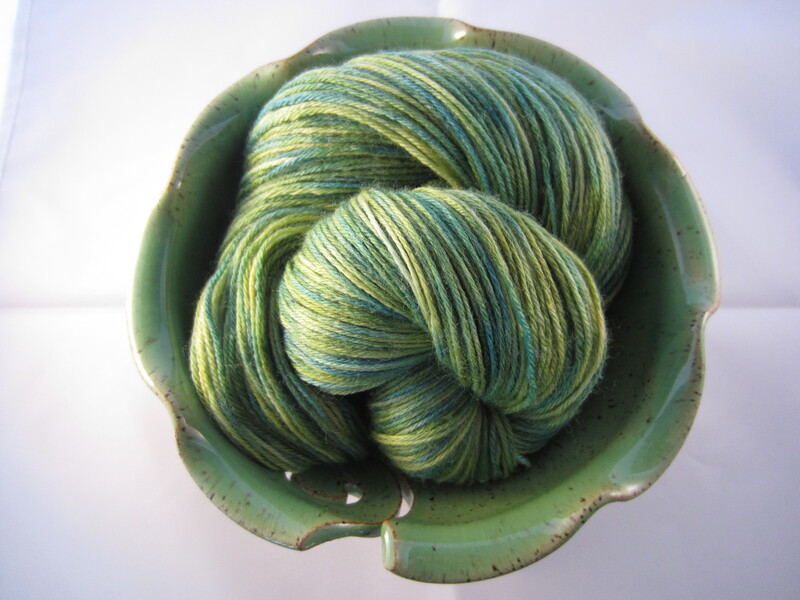 If you have a preference for the yarn you would like to receive, please leave me a message with your order and I will comply to your wishes 🙂 Now isn’t that exciting? I think it is. And as an added incentive for you, my Etsy shop has now reached 990 sales so once I reach 1,000 sales I will draw out a lucky client. Of course THE 1,000 order will receive a gift (to be disclosed later) but I will also draw a random winner out of orders 991-999 and that lucky client will also receive a gift. I’m so happy to reach this landmark in my shop and I really want to thank everyone who has supported my little entreprise and continue to do so. I hope to one day be able to make a living of my art and passion and to provide an even better shop with more variety and even more gorgeous products. Hello there, happy new week to you all. I do hope it will be a good one with lots of fun and creative moments. 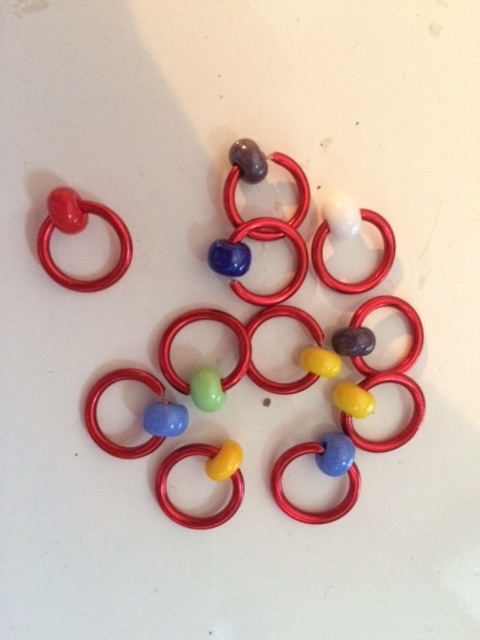 So i’m wondering, do you as a knitter/crocheter use stitch markers on a regular basis? Which type do you like best? Would you be interested in trying some of mine and in return write a review about your experience on your blog – a post that I could also share here on my blog? If that is something you are interested in then please leave me a comment below and I will be in touch. Hi there, first of all I’m sorry I haven’t written for months! Things have been hectic both in my professional and private life. But now we are in 2015 and I’m dead set on making this the YEAR OF! That being said, I wish you all a very happy new year and I thank you for your support and patience with me and I hope you will continue to follow my blog and my crafty adventures. So my challenges this year will be to better maintain my blog and blog on a more regular basis. I’m also going to open up my own ecommerce website/shop which means I will have come full circle as I actually began this adventure with my very one online shop and then closed that down to go 100% on the Etsy platform. Now I’ve decided that Etsy is not enough and that I’d like to have my own shop that I can run and design as I wish. And so that is a huge project that will take a lot of time for me to set up. I’m already working on that and I plan on opening the shop even though the virtual shelfs will not be full but just as an incentive for me to really crunch and do what I can to fill them up in as short a time as I can. I will be linking to the shop here so you will be able to click from the blog to the shop so if you follow me on the blog you are likely to be among the first to actually see this new shop as I do not plan on advertising it until I feel I have sufficient stock for sale. So better blog and a new shop – those are two big challenges for 2015. 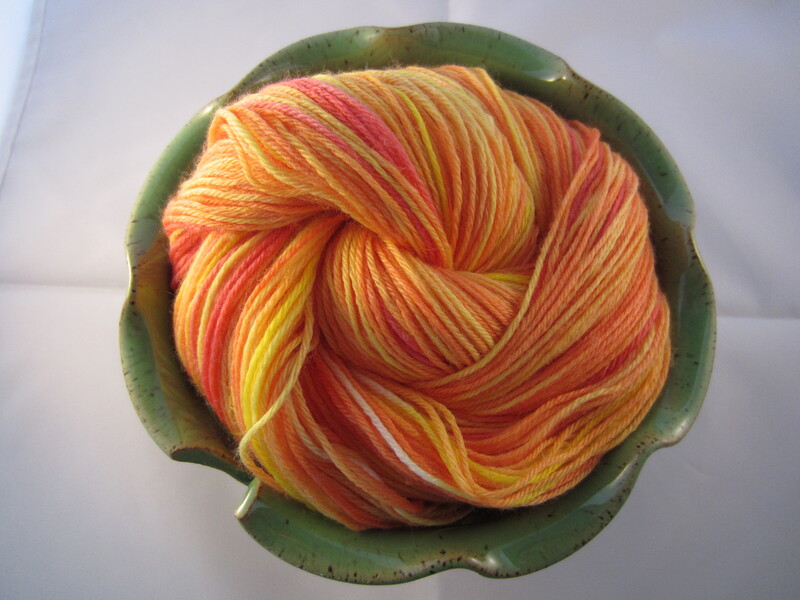 I’m also going to dive more into dyeing yarn and fibre as that is what I really love doing. 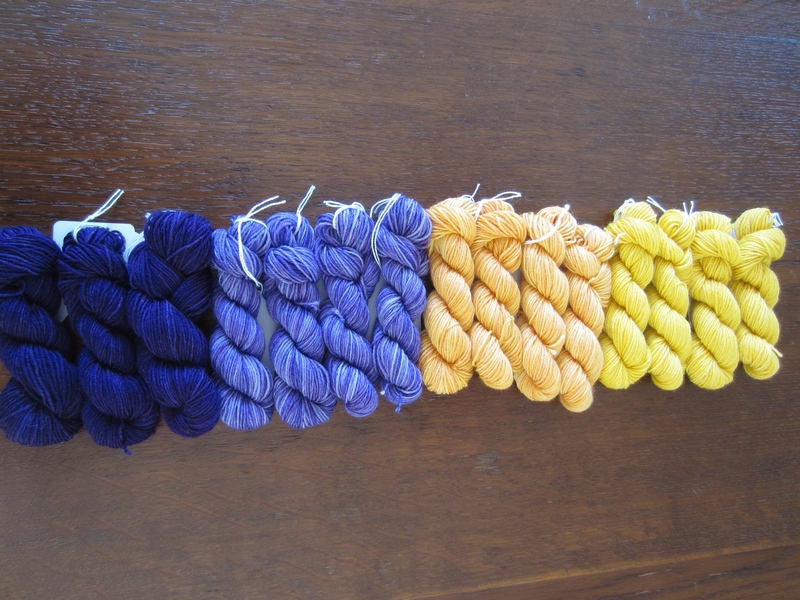 I have a nice set up for dyeing now which is great. I have invested in some professional tools to help me optimise my work and that will help me get more done. 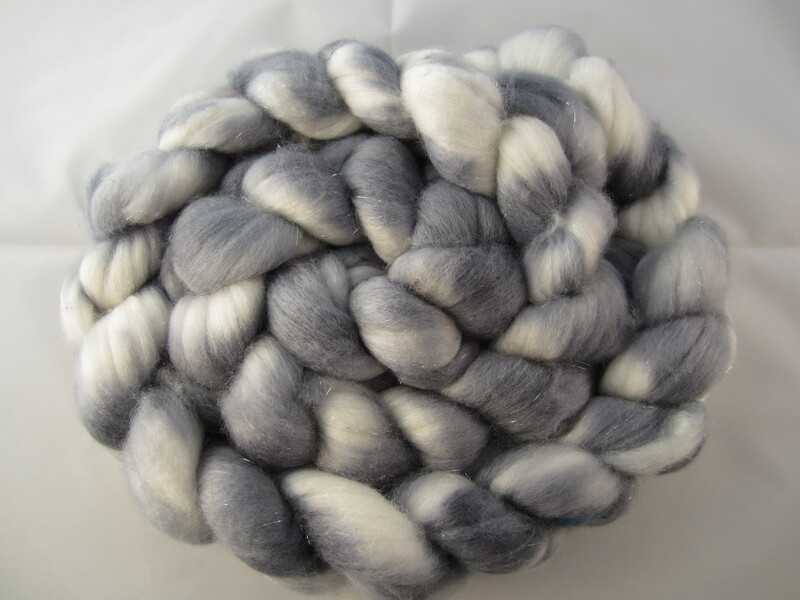 Also I have invested in a carding machine in addition to my blending board and I’m going to be offering more punis/rolags for spinning. 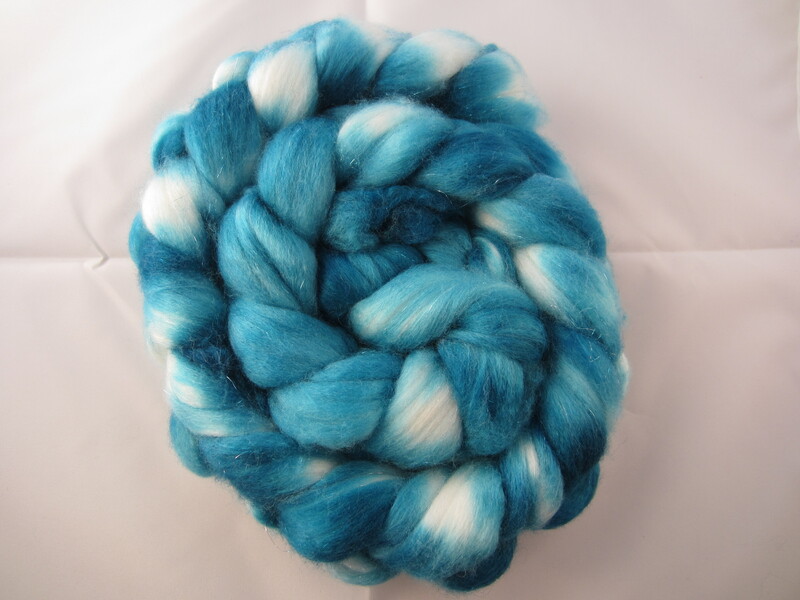 Carding and blending wool is really fun to do and I’m sure other spinners will love spinning from my punis as much as I do. I also have hand spindles that I customise and will be selling in kits with wool rovings or punis. 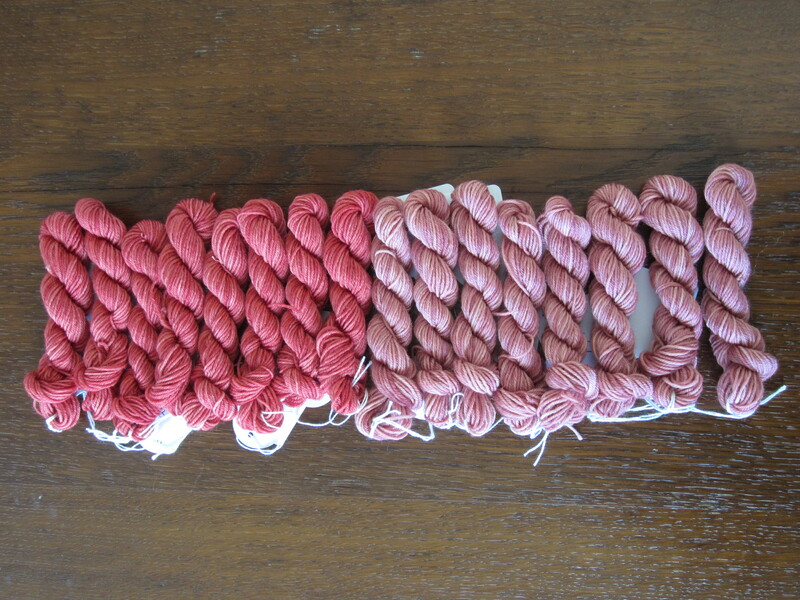 I’ve been experimenting with mini skeins and they have met with a certain success so I’m going to work on doing the same thing with my hand spun yarn. 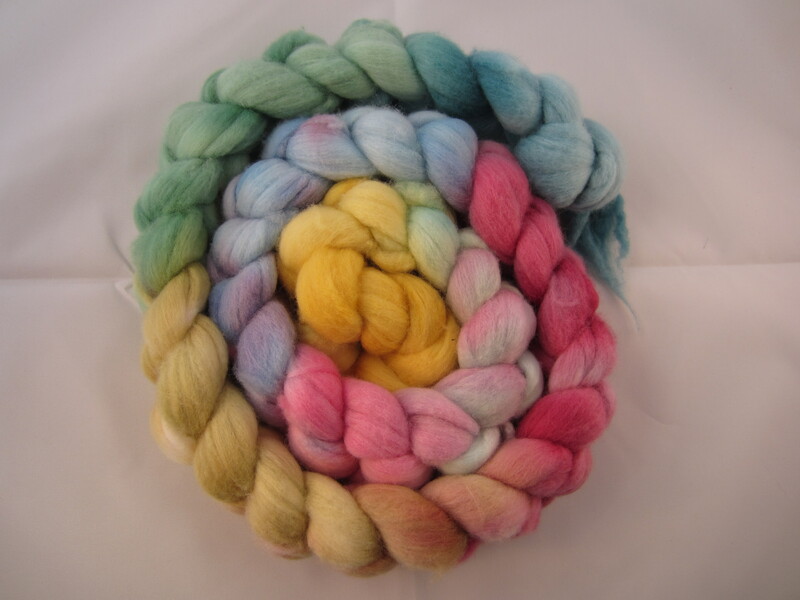 People that have never worked with hand spun may shy away from that thinking it is not as good quality as commercial yarn or they feel the price is too high so maybe they will be more interested in a set of mini skeins for them to try out different colours, textures etc. 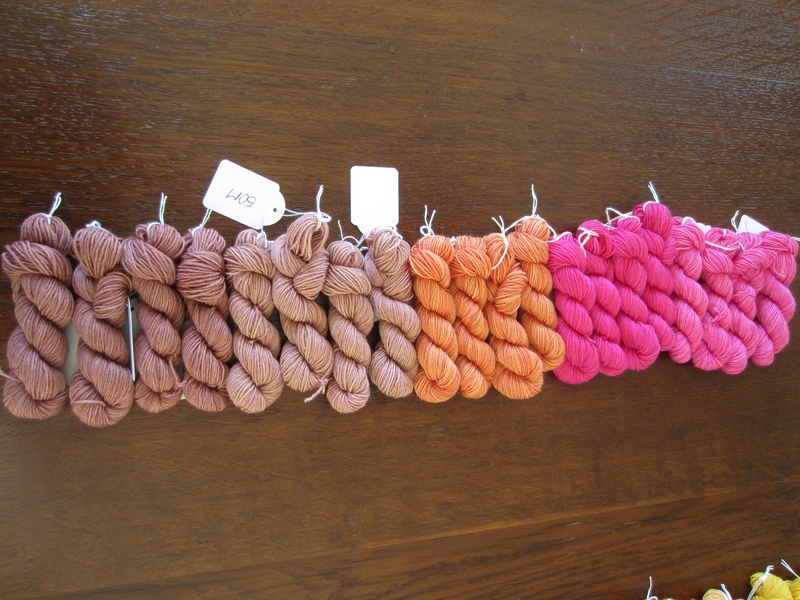 My shop now focuses more on my own production and less on commercial supplies. 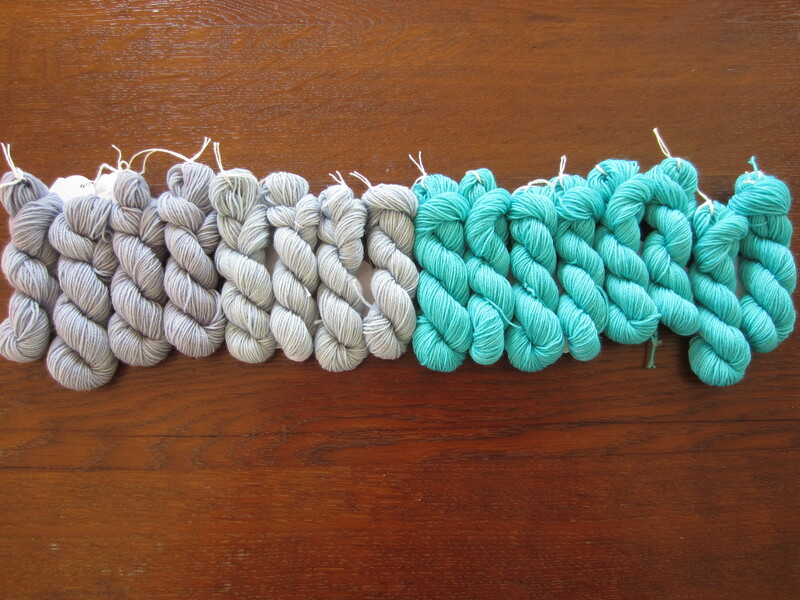 I may continue to sell knitting needles in the future but I will most likely be limiting myself to just one brand. I have however fallen for a small number of what I believe are exceptional items and I will be offering those in the shop. 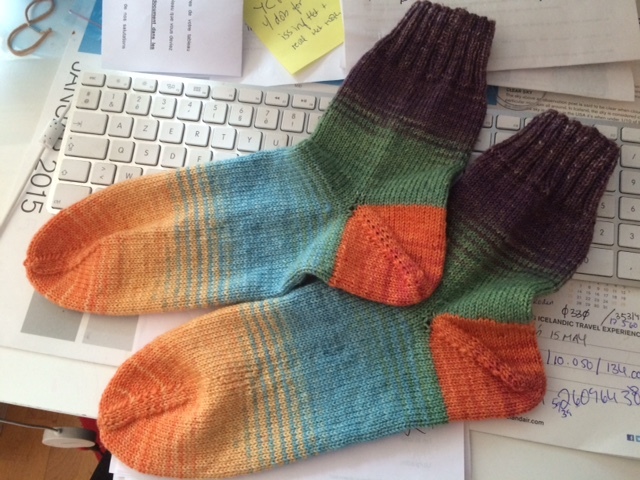 One of them is already for sale, the SOCK RULER! Have you heard of it? If not this is a new product that is pending its pattent in the USA. 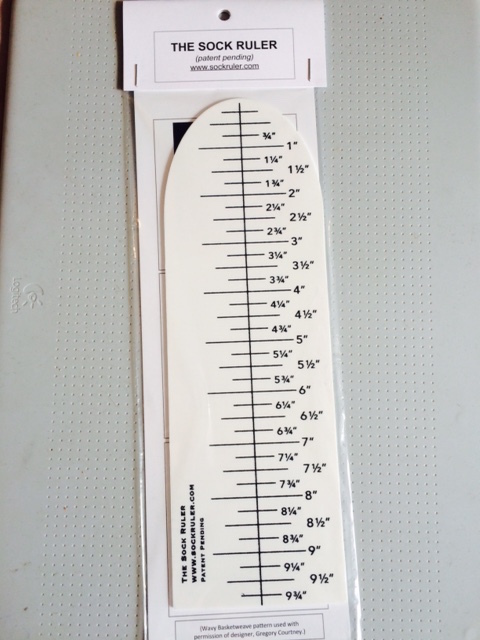 This is a flat, sort of sock formed plastic ruler that makes measuring for your sock knitting a lot simpler. 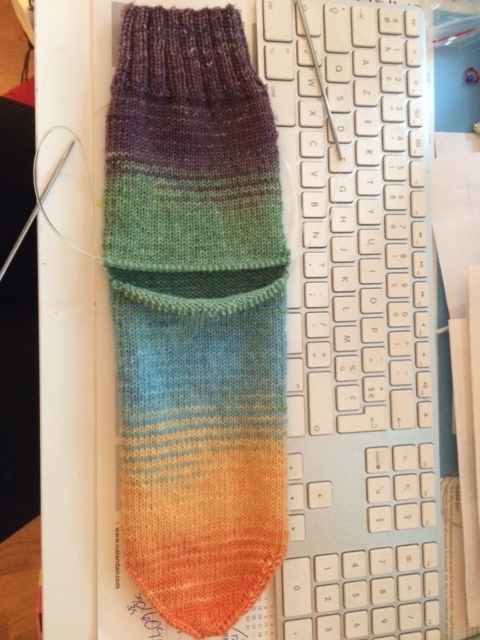 It helps you to measure all the different parts of your sock in a fun and easy way. 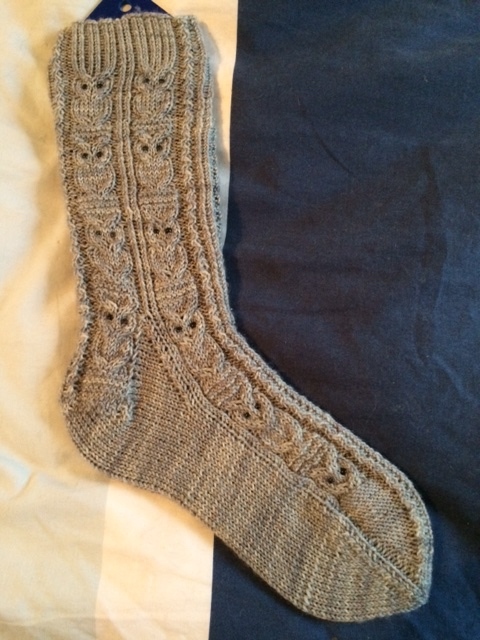 Since this item was first commercialised, late 2014 I believe, it has been a big hit with sock knitters and I believe I’m the only european retailer to offer those so I hope european sock knitters will enjoy these as well. 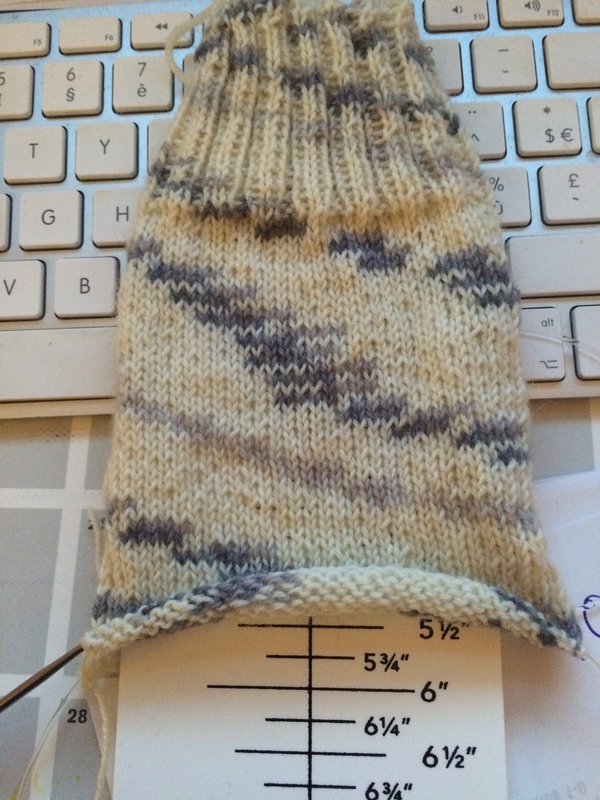 All measurements are in inches but as a lot of the sock patterns I knit are in inches that does not bother me that much. I will also soon be offering some items made by crazymonkeycreations in the US, such as a row counter, sock blockers and mitten blockers. I will be doing 1 show this year, probably the only one in 2015. At least I do not have another one planned for the moment but hey if something exciting comes my way I just might go for it. So this years show will be in London in the UK. The show will be on May 15-16. This will be a small show with indie dyers and independent producers and is organised by Iknit and if any of you live in the UK or have the possibility to come, then I’d love to meet you in person. 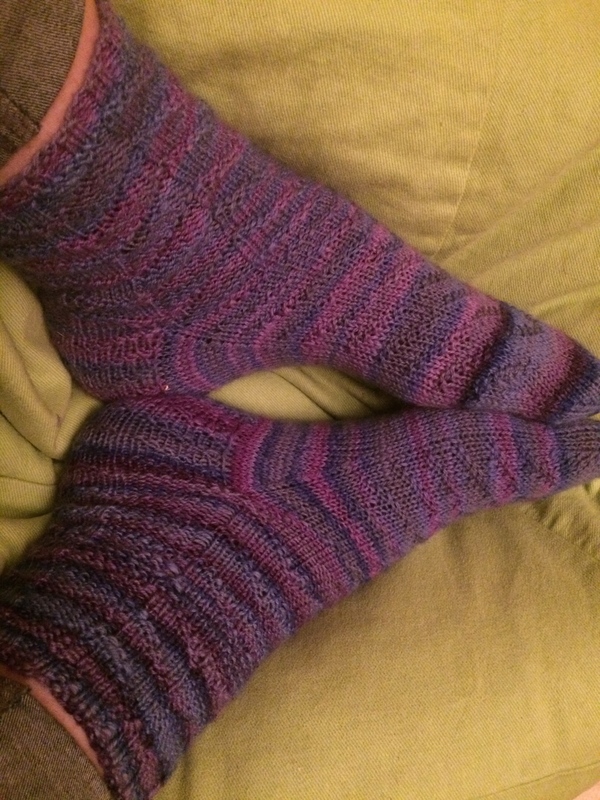 These are my wip socks, this is my first attempt at an after thought heel socks and I think I love the construction so I may be making more of these. 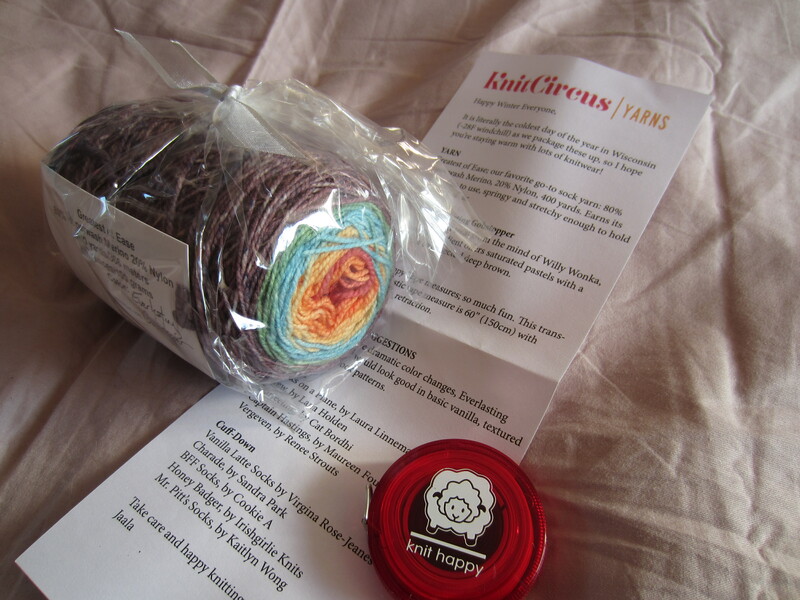 The yarn is a Danish brand yarn that I purchased on my last visit to Iceland. 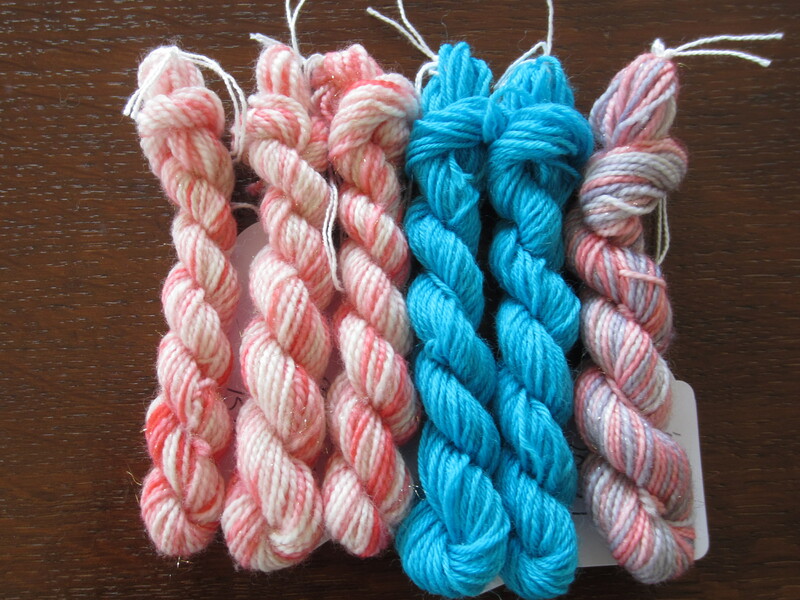 These I made from my hand spun yarn. 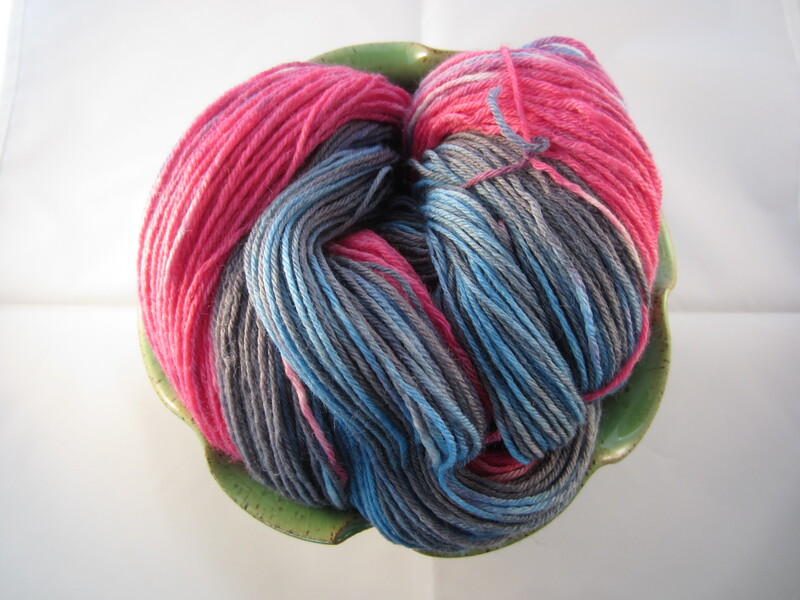 I love the way the colour and stripes come out and especially the fact that I made them from my own hand spun yarn. 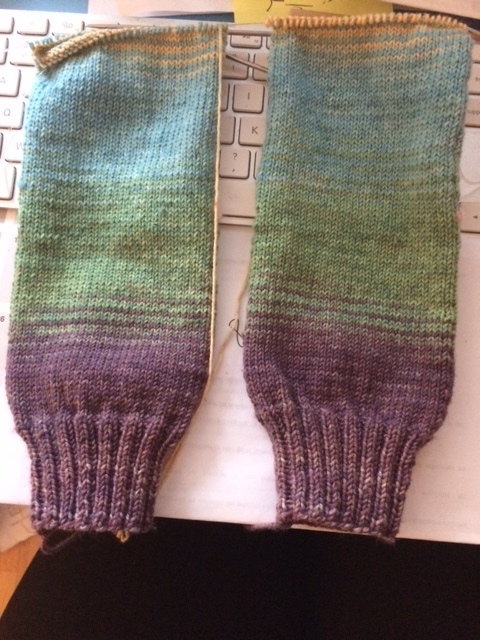 These are my first EVER socks with my hand spun yarn but I’m sure I will be making more but I think I have to test them some first, I worry that the fact this is 100% wool they may be fragile and I would/will be devastated if all the hard work of spinning the yarn and then knitting it was then ruined by holes in a record time so I’m going to do some “testing” before making more socks this way.